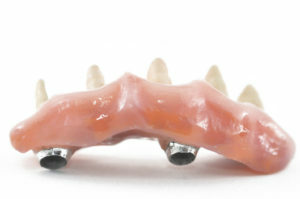 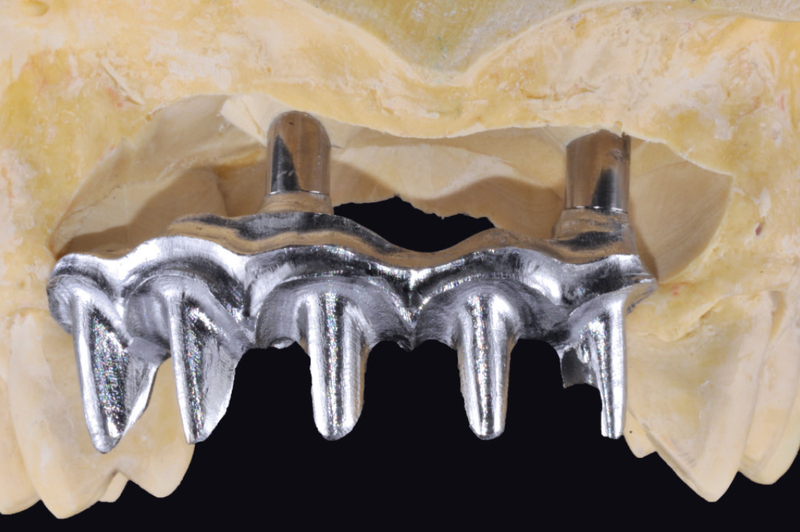 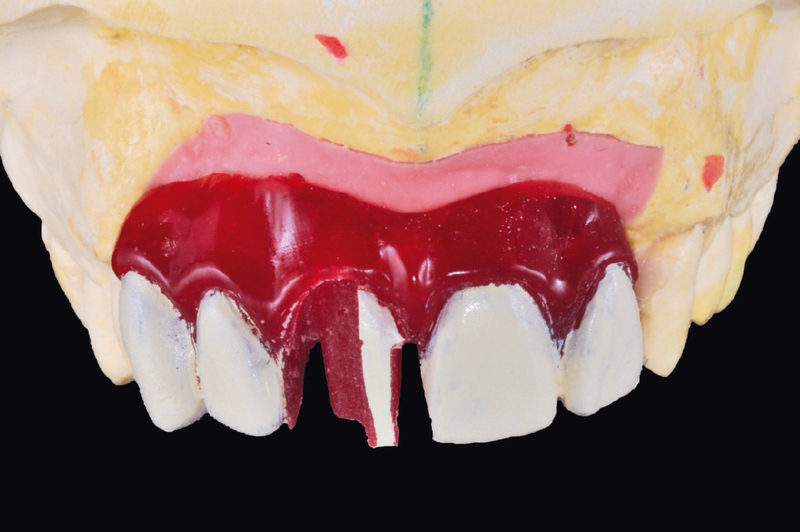 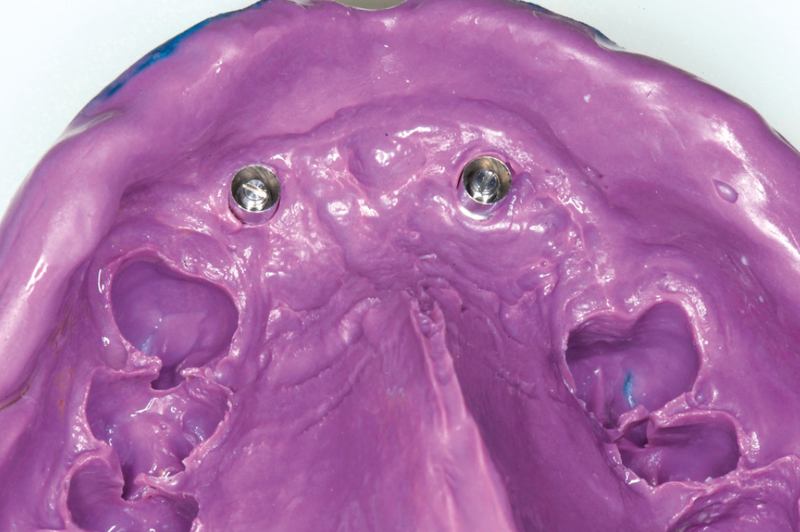 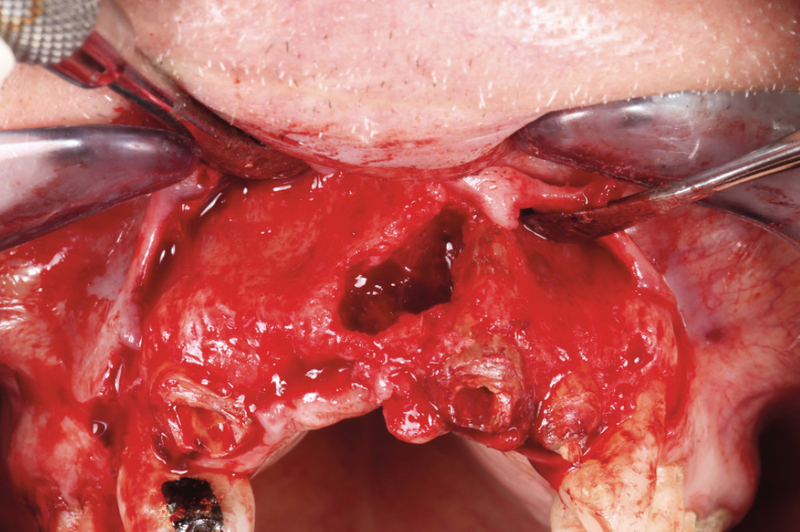 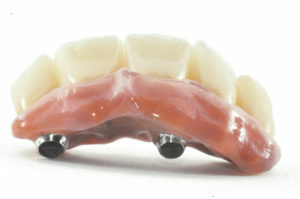 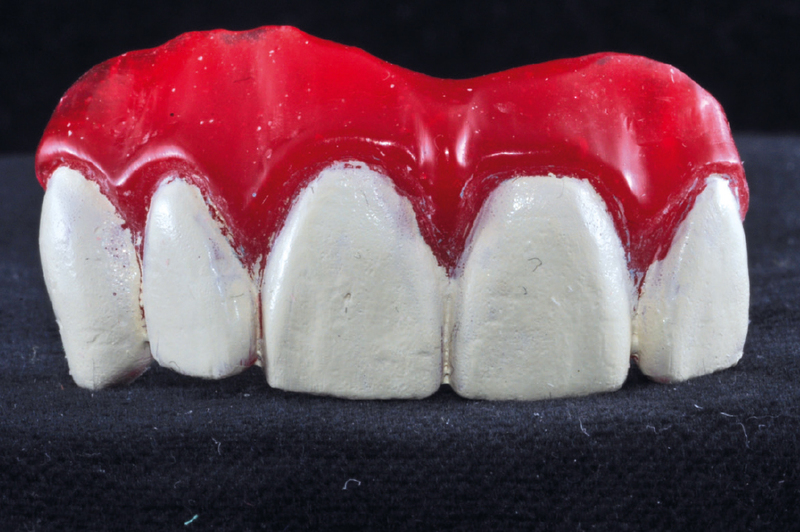 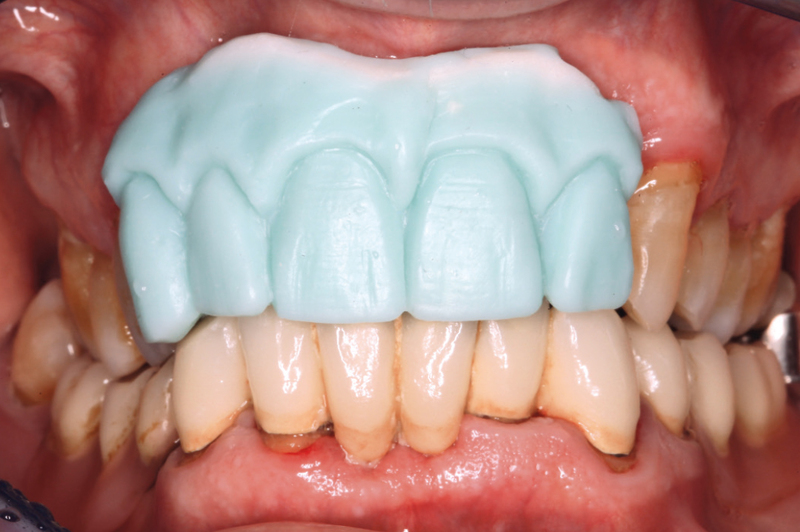 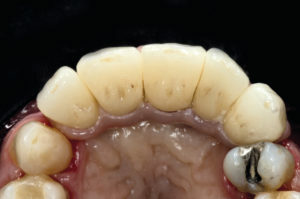 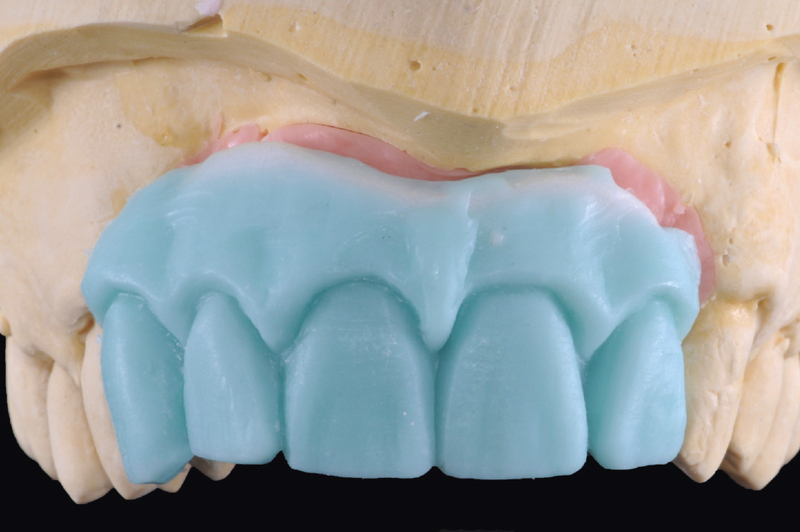 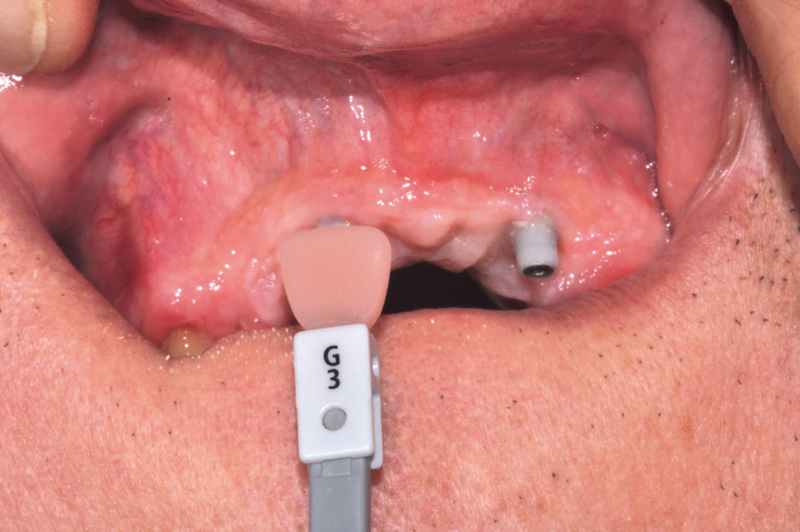 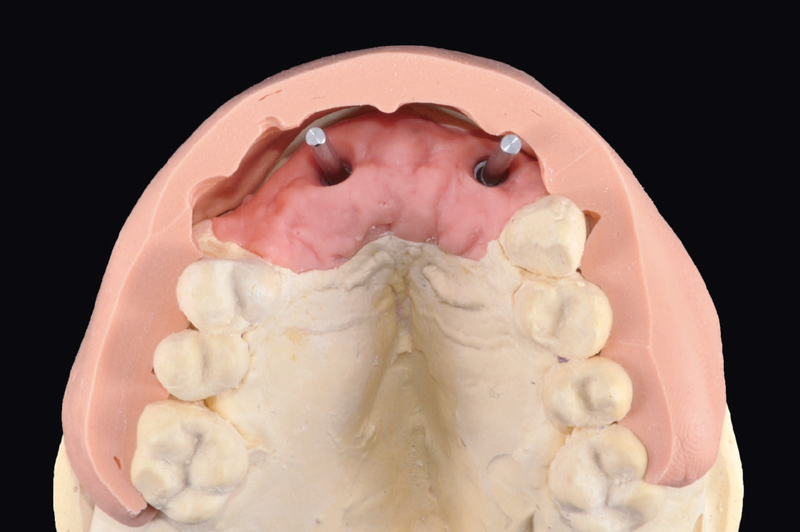 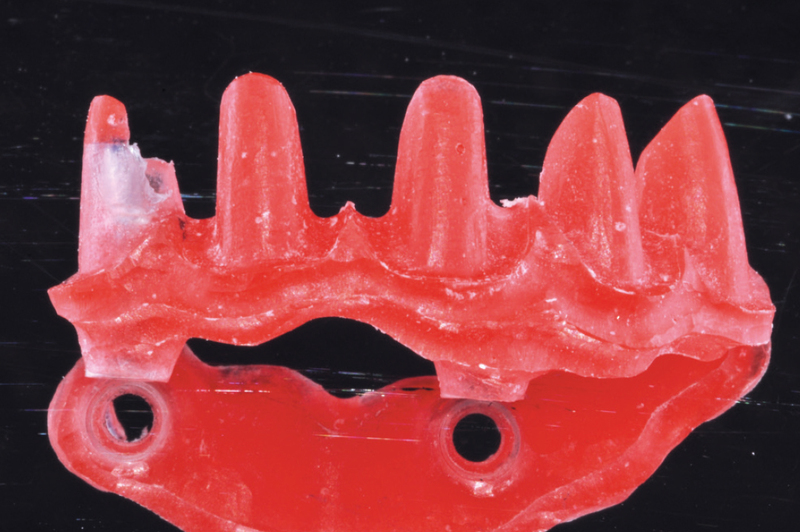 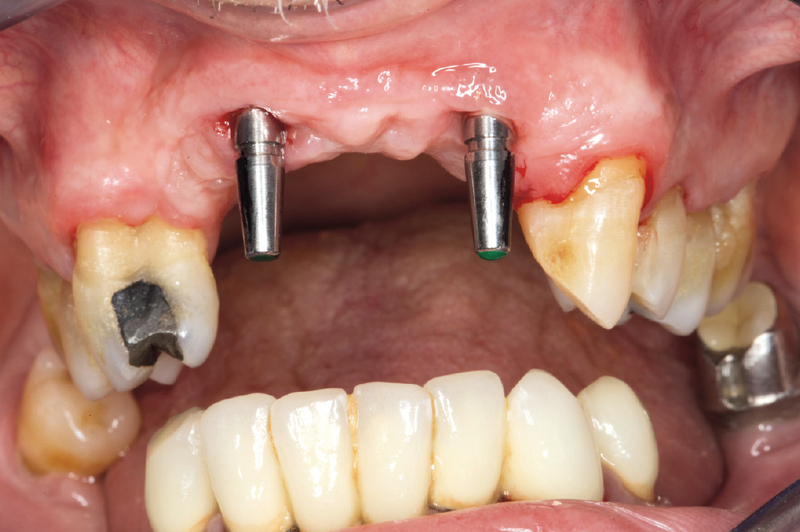 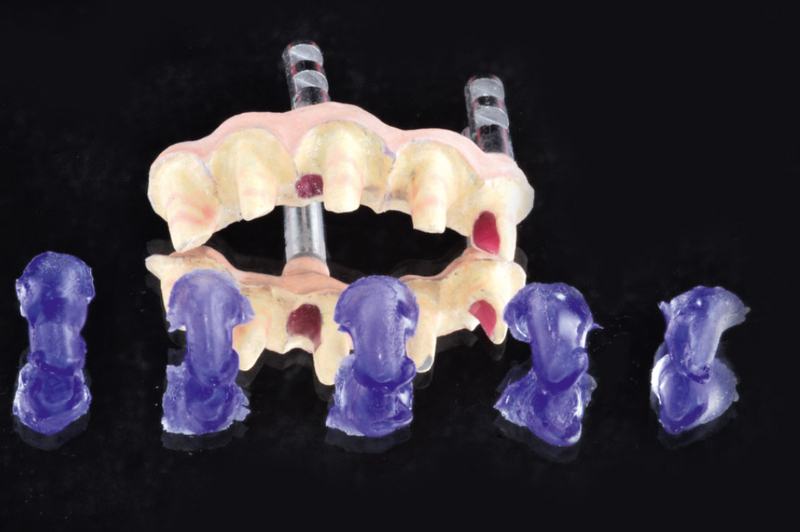 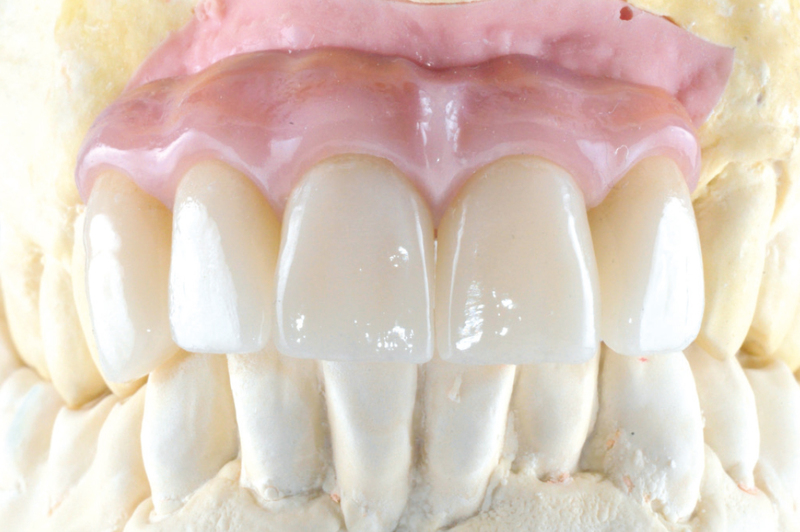 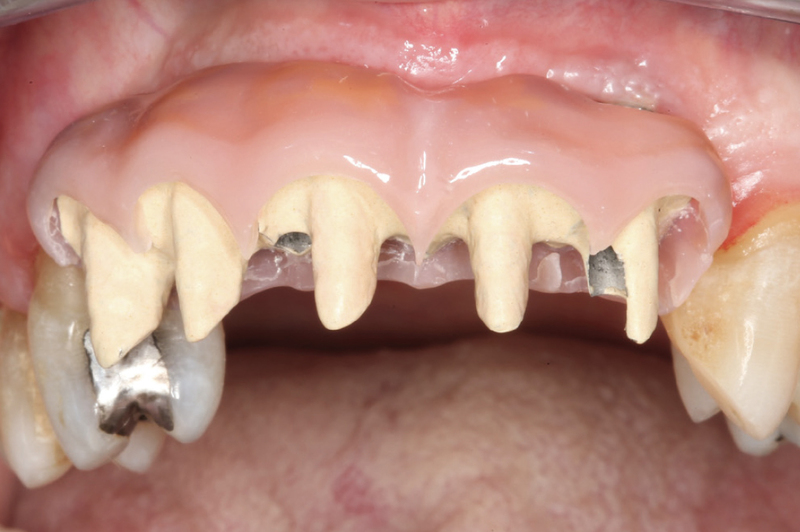 This case shows the treatment of an edentulous maxillary anterior space with severe resorption of the residual ridge. 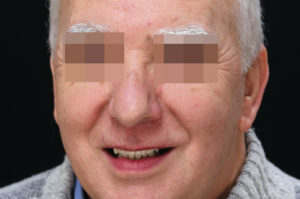 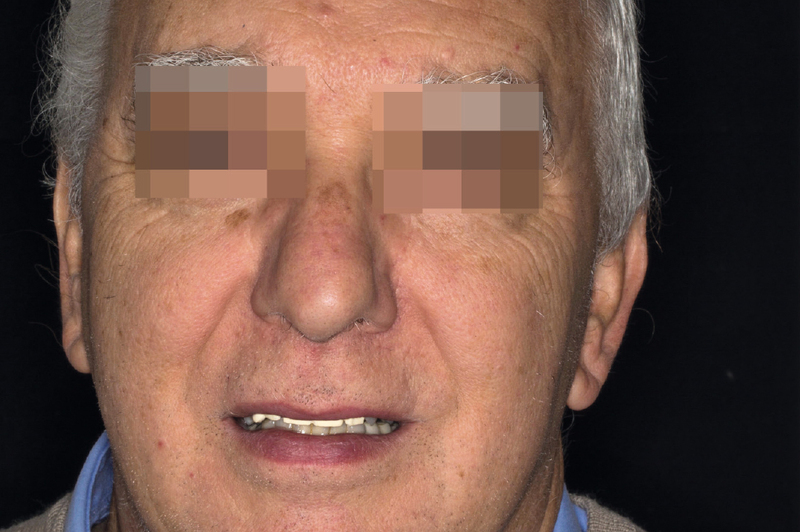 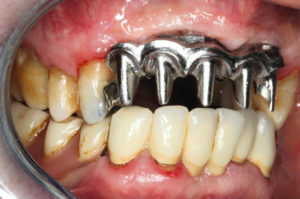 The patient, suffering from diabetes and an autoimmune disorder (Guillain-Barré), asked for a fixed prosthesis without undergoing time consuming surgical procedures. 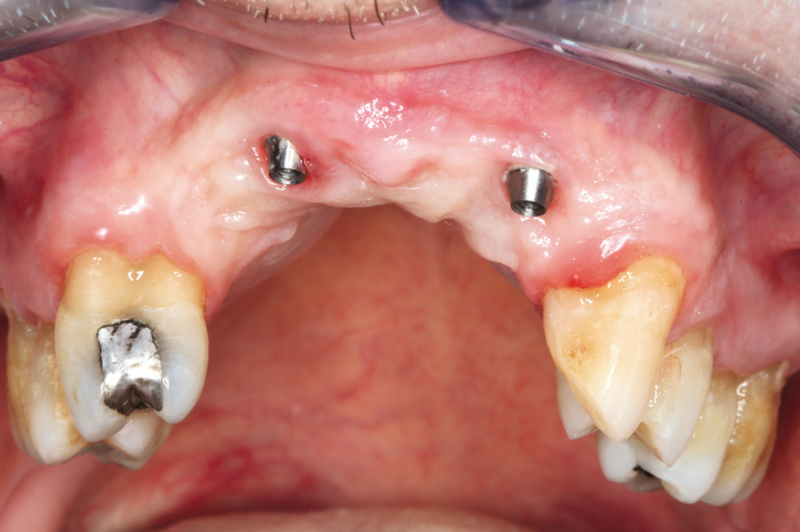 Due to this particular patient situation, a complex bone grafting procedure to regenerate the missing bone volumes was not contemplated. 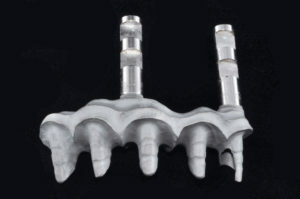 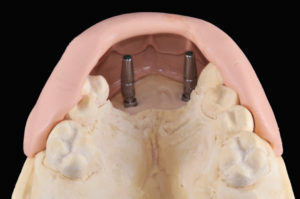 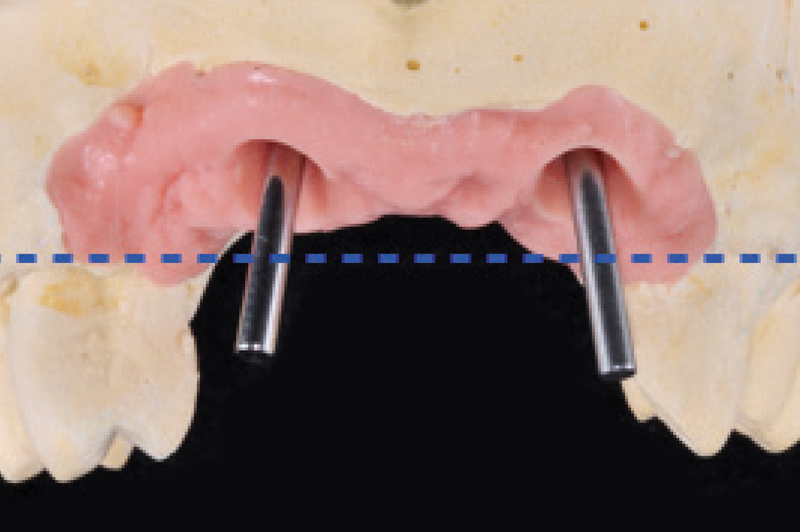 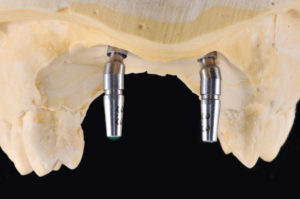 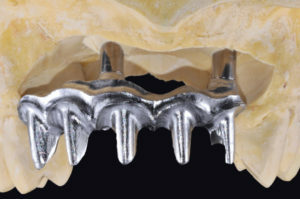 Two 3.75 x 12 mm Leone implants were placed in position #12 and #22 with a two-stage surgical procedure with simultaneous bone graft and a temporary mobile prosthesis was applied. 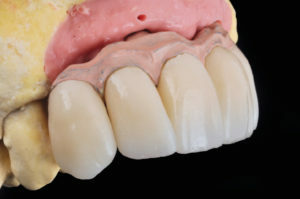 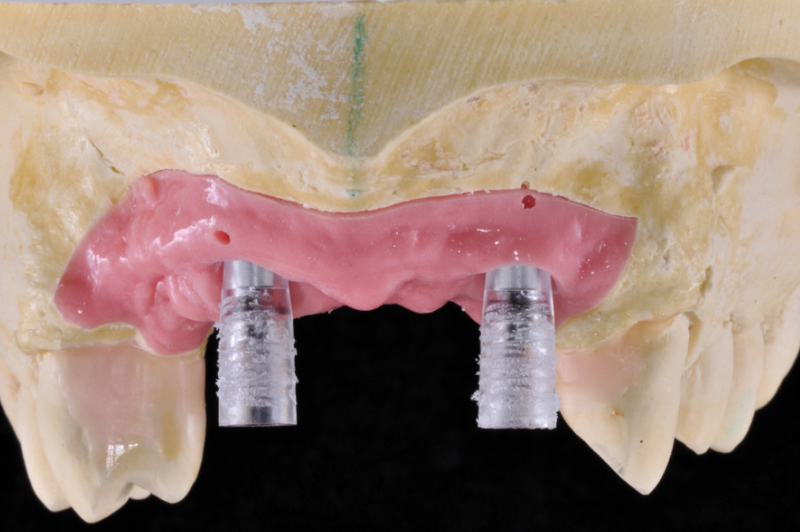 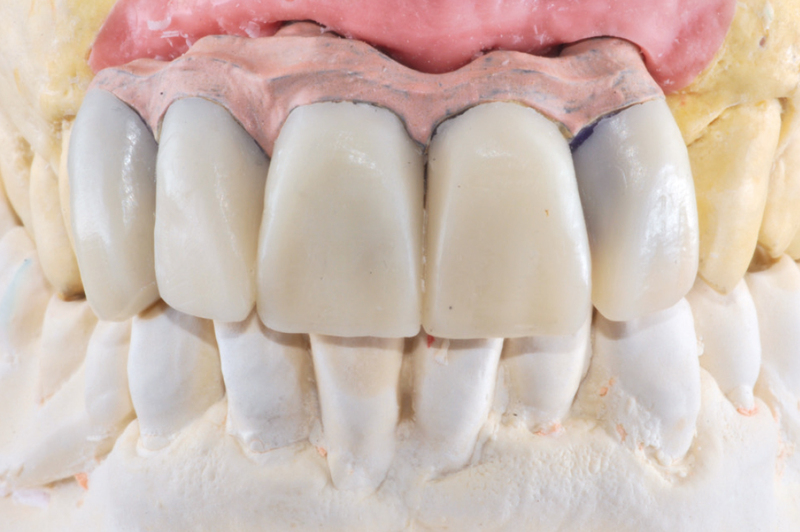 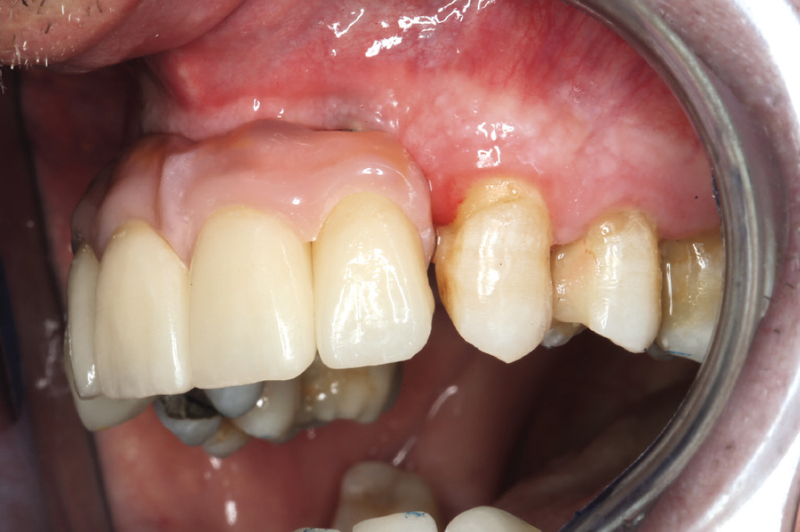 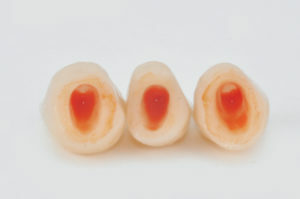 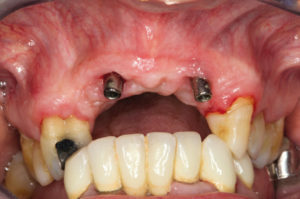 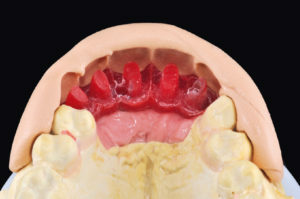 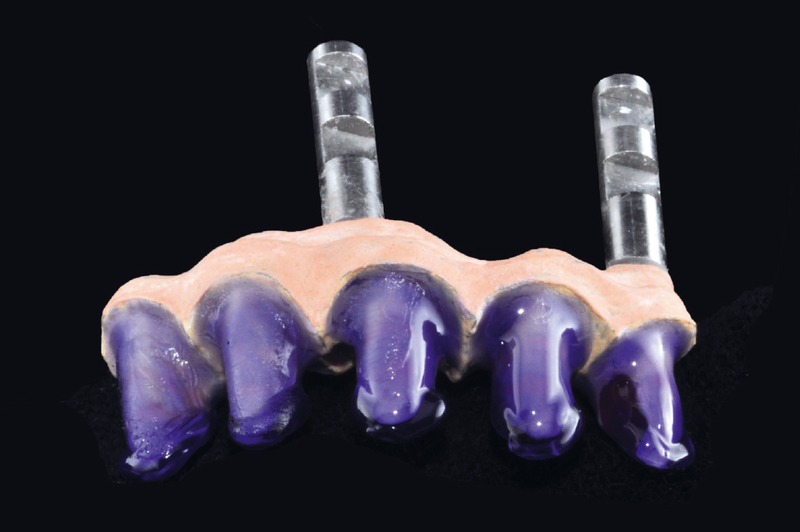 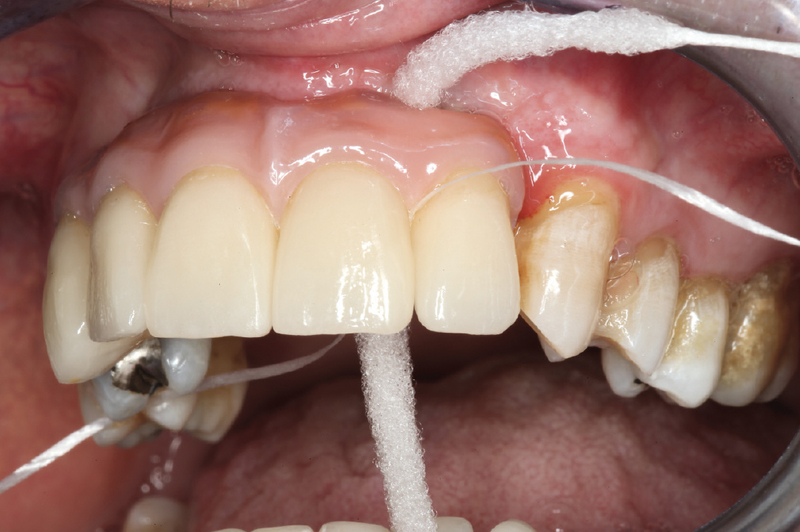 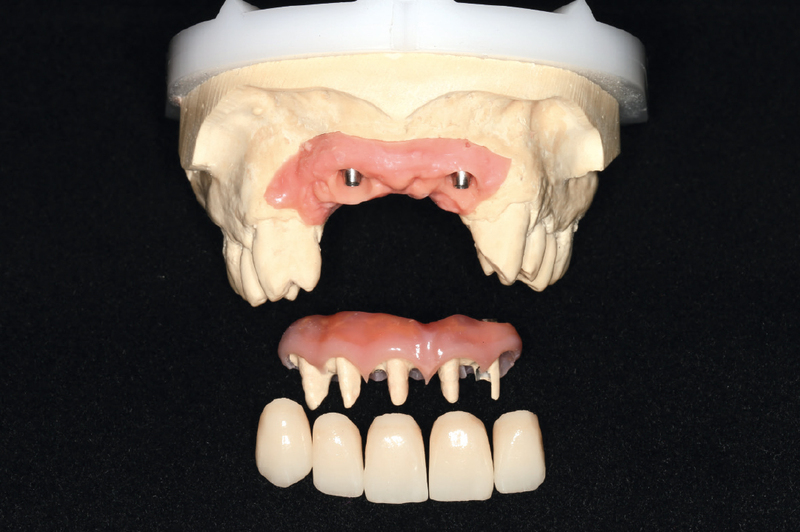 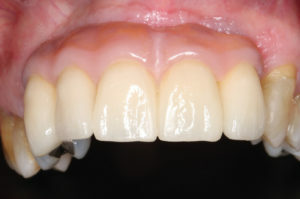 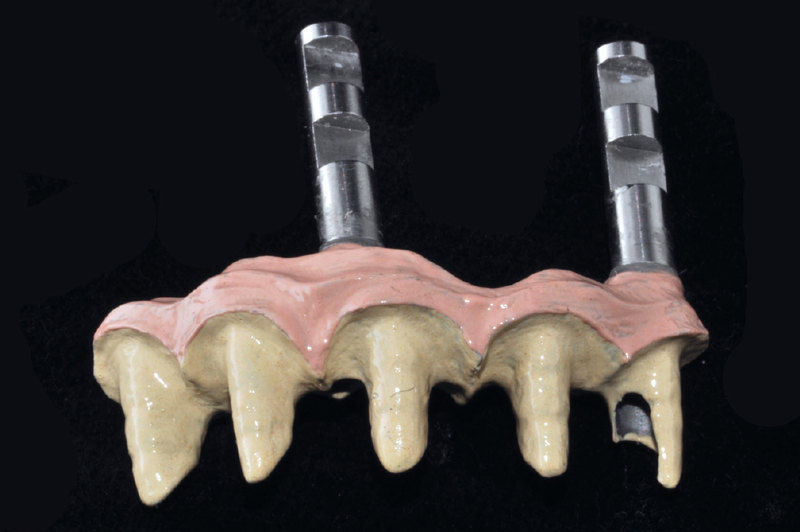 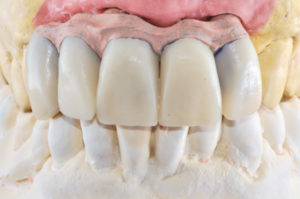 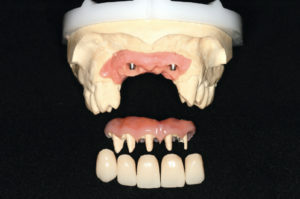 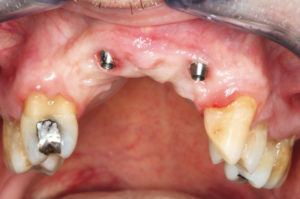 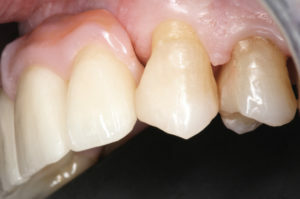 After six months of healing, the implants were uncovered and a screw-retained prosthesis with pink composite resin to mask the severe gingival defect was fabricated. 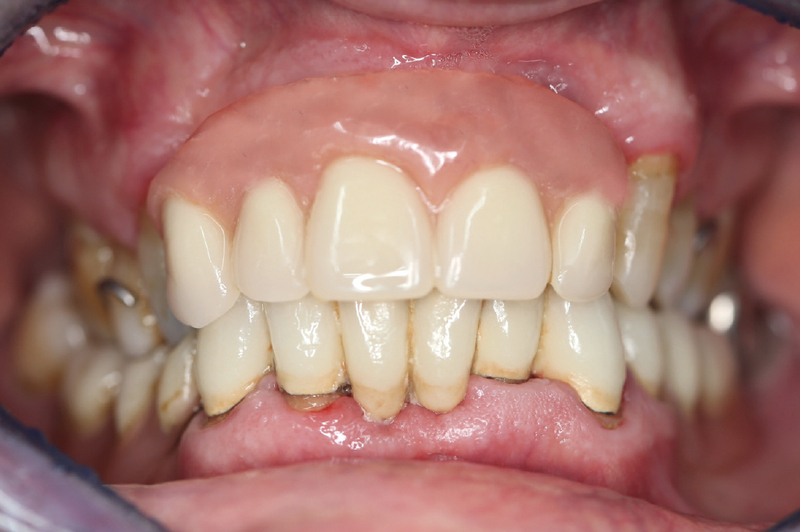 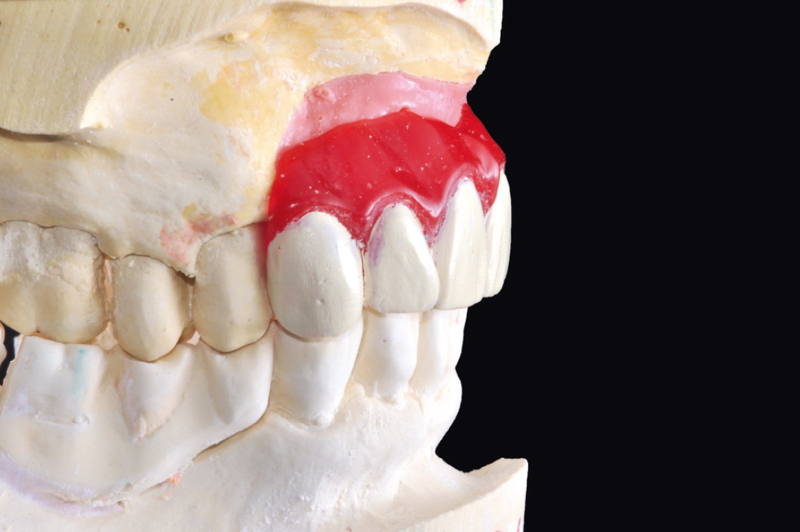 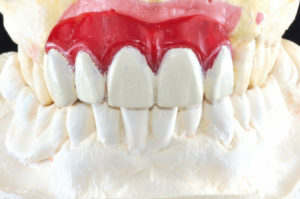 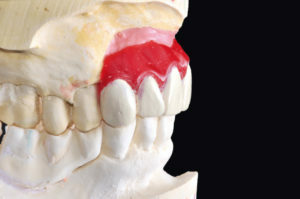 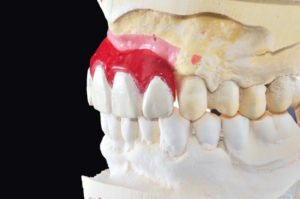 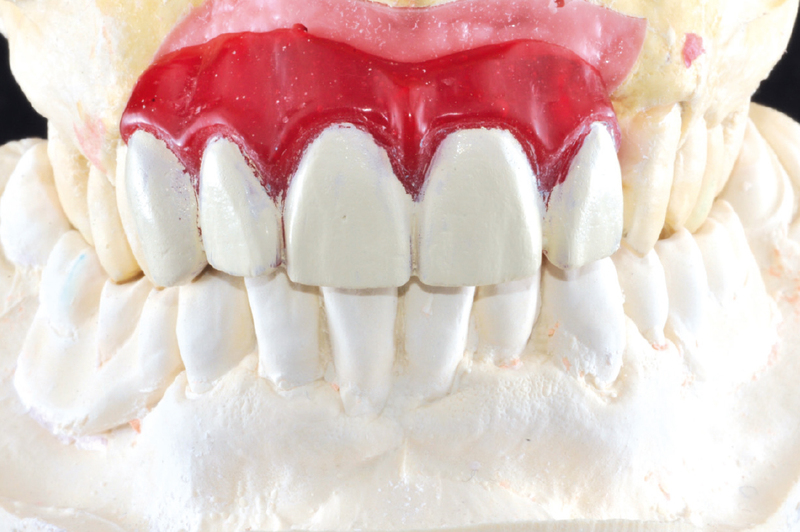 Thanks to this approach not only the teeth but also gingival aesthetics and anatomy were reproduced. 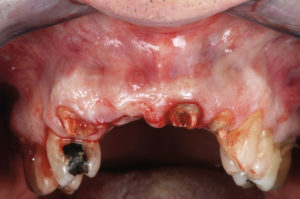 Online collection of Leone clinical cases. 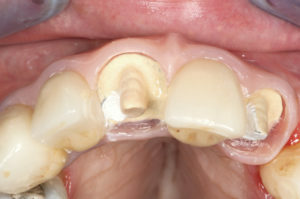 All case reports include a short description of the case and a link to the full text version. Visit also our Italian clinical case library with more than 167 cases and 5000 clinical images.